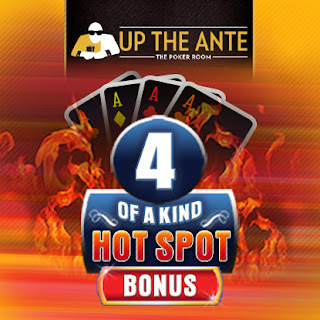 The Poker Room's ablaze on Tuesdays and Thursdays for anyone with a qualifying 4 of a Kind. Every four hours, Hot Spot bonus opportunities are posted, with one hand at $1,000, two hands at $500 and more bonus awards. Play Texas Hold’Em or Omaha, come up with 4 of a Kind, and you could pocket the extra cash. Hands reset to $200 or $300 when the bonuses are gone.